I participated in Field day with the Panama City ARC as W4RYZ 2F NFL at the Bay County EOC in Southport, FL. I setup an operating position outside with a 40 meter Off Center Fed (OCF) dipole up 20 feet. The feed point was supported by the military mast sections off a hitch adapter on the truck and the ends were supported by crappie poles. The antenna will tune 40 20 15 and 10 with my IC 703 internal tuner. I had a 10 foot coax section and a choke balun to make it a New Carolina Windom but the coax section was intermittent. I discovered the problem the day prior to FD and went without it. I also had a new EZ Up canopy with screen sides. We never zipped the screen because not one mosquito showed up. The bands from the tropical storm Debby threatened on Saturday but they missed us. It was raining just South of us. The outside conditions were actually pleasant after dark. We were next to some pools of water and had a symphony of croaking frogs. Outside we started out on 10 meters and heard some stations but could not be heard. We switched to 15 and picked up a few and on to 40 and 20 later where the bulk of the contacts were made. I had the pleasure of sitting in with some proficient CW ops Jim ND9M and Bob WB8PAF. I have a long way to go to be proficient. We traded out my Icom 703 for Bob's Yaesu 100 watt rig and a paddle. Those two racked up contacts all through the night. Sunday AM while I was napping, the outside operating position was disassembled due to some bands of rain coming in. It rained pretty good that morning through pack-up of the gear. Since I was out of business for outside ops I tried the AlexLoop setup just outside the door of the EOC. I made a NM and a PA contact on 20 meters. I was very pleased with that. The inside operating position in the EOC used 80 meter OCF dipole outside supported by military masts setup as tripods. Marv KK4DKT made a good number of PSK-31 contacts inside. Marv, our FD chairman, coordinated the bonus activity and we got credit for 12 bonuses. ND4M made a satellite contact. I charged a battery with my solar panel and we used it to make 5 natural power contacts. The preliminary QSO count is 476. The whole team did a great job and we did have about a dozen visitors. We hope they get on the air. The AlexLoop arrived in the mail Saturday about 11 AM. It comes in a nice bag and the setup is easy. I found all I had to do was flip the post on my camera tripod and the loop fits nicely. Then well it is rainy outside and I'll just have to try it out in the living room. Expectations were low of course. My first QSO was N4UED in NC on 20 CW. Well not so solid but OK. Then why not try 40 meters. I had a great QSO with WB4BFO in Milton FL about 90 miles away. Then back to 20 and had a solid QSO with KF4TJE Burns TN followed by KG5WY Fort Worth TX. I am feeling good at this point because they say 40 and 20 are not even the best bands for the loop. All these contacts were with the Youkits HB-1B at 5 watts. It just happened that the SKCC Weekend Sprint was under way. So continuing from the couch on 20 meters, I worked MI, NY, AZ, and UT. Then this AM on 40 meters I made calls to AZ and MI with no luck. Then I worked Joe K4NVJ in Calera AL. I think the closer they are increases the chances on 40 meters. The loop is expensive but the payback was fast. Credit due to Alex PY1AHD for a great product. The loop is available in the US from Ralph W4RT. This opens up many venues to operate. I am pleased with the the portability, ease of setup and yes performance as well. I volunteered to operate as K6JSS from Alabama in the Alabama QSO Party. I was one of several in the team headed up by Craig NM4T. My Alabama QTH was my parents in Dothan. AL. I have an off center dipole in the very tall pines there on Pinetree Drive. My rig was the Icom 703 at 5 watts. One goal was to make K6JSS available to QRPers in the QRP ARCI 2012 State QSO Party Challenge. So I just called CQ. In my three hour slot I had 13 contacts around 14.060 and 6 on 7.050. There was one exception I worked a special event station on 20 meters SSB. So the total was 20 Qs. 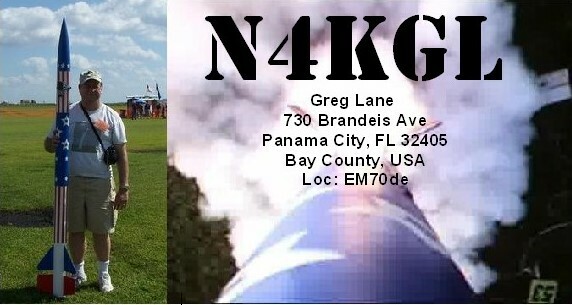 I know W2KJ was QRP in a park in NC and Don K3RLL was was on his FT 817 in PA. It was a pleasure to work my friend Mike K4MTI back in Panama City. I also worked Jim W4QO in Georgia who is heading up the challenge. Of course all QRP contacts are fun! I look forward to meeting the QRP folks at the Huntsville Hamfest August 18 and 19.